Established in 1984, Grape Creek Vineyards is a Wine Club Winery. Their tasting room is an exceptional experience of the old world surrounded by over 15 acres of Texas Hill Country vineyards. “Tuscany in Texas” awaits with rustic beams, rock and stucco all nestled under a tile roof reminiscent of the hills of Italy.The educational Wine Tour is the best way to experience Grape Creek: a tram ride through the vineyards, barrel sampling in the cellars, and a guided tasting in the Ambassador Room. Wine Club Members enjoy private patio seating and tasting bars adjacent to beautiful vineyards. Wine Club members also have exclusive access to limited production Owner’s Club wines not offered in the Tasting Rooms. 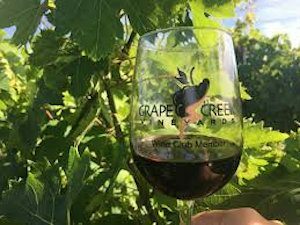 In the past couple of years, Grape Creek has garnered more than 100 medals from California to New York. 290 Wine Shuttle is proud to be one of the few Preferred Partners associated with Grape Creek Vineyards.